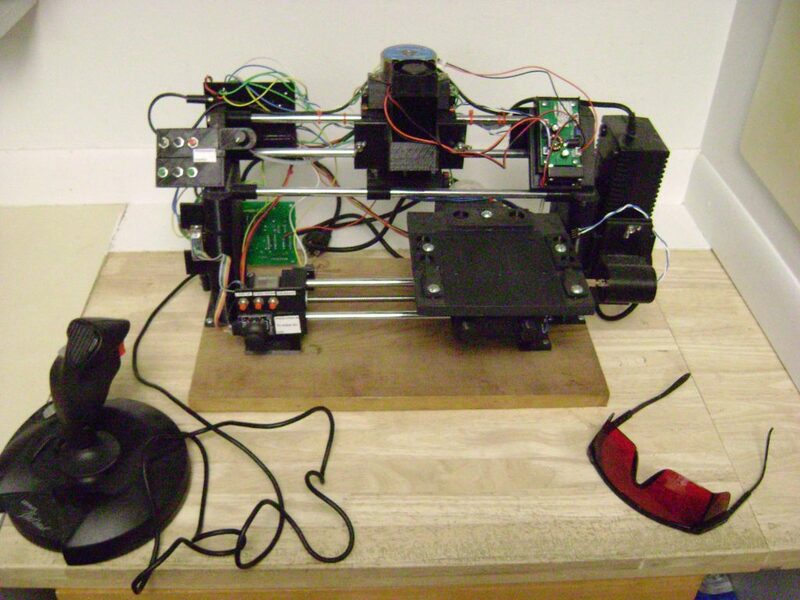 Home Page › Arduino › One machine that does it all! Comments Off on One machine that does it all! While having a huge workshop with every tool imaginable is ideal, if you have limited funds and/or space, then Mark Miller’s gantry-style machine could be just the thing you need. In this setup, the workpiece moves via a stepper motor and a rod system on the bottom, while top support rods accommodate interchangeable tooling. 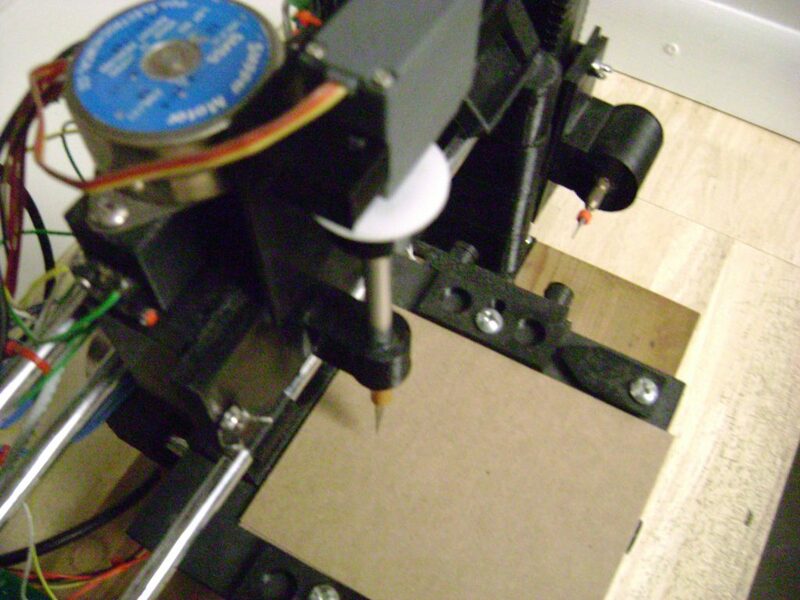 Tools compatible with the machine (so far) include a 10 watt laser, marker, knife for stencil carving, and a motor/router bit combo for light milling operations. An Arduino is employed for control, while user interface is provided by a series of buttons and a joystick. Miller even wrote custom software to transform CAD files into sketches that can be directly loaded onto the machine. The project is still a work in progress, so be sure to follow along in its Hackaday write-up here.